Contact Claire for session rate. I believe that through our relationships in life we develop who we are and how we relate to others, but there can be times in life when things can feel overwhelming, hopeless and bleak, when we lose sight of who we are. I believe that in these moments there is nothing more valuable than truly being with another. Therapy is a joint process which we embark on together and I am committed to the relationship I form with clients. 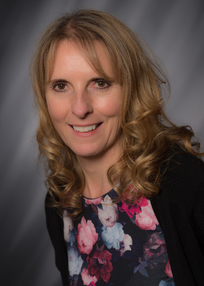 I am a Person Centred therapist and in our journey together I aim to provide a safe, respectful and non- judgemental environment where we can explore issues in your life which are important to you and help you find your own source of clarity and insight. I bring warmth, acceptance and creativity to our therapeutic relationship and I will support you in reconnecting with your own sense of being and understanding of who you are as a person. I have been working therapeutically for the past 20 years as a creative practitioner in many settings and currently work both in private practice and for a Nottingham based charity with clients from diverse backgrounds and presenting many different issues and life situations. Member of the British Association of Counselling & Psychotherapy. (MBACP). I subscribe to BACP Ethical Framework for Good Practice and work in the strictest confidence.